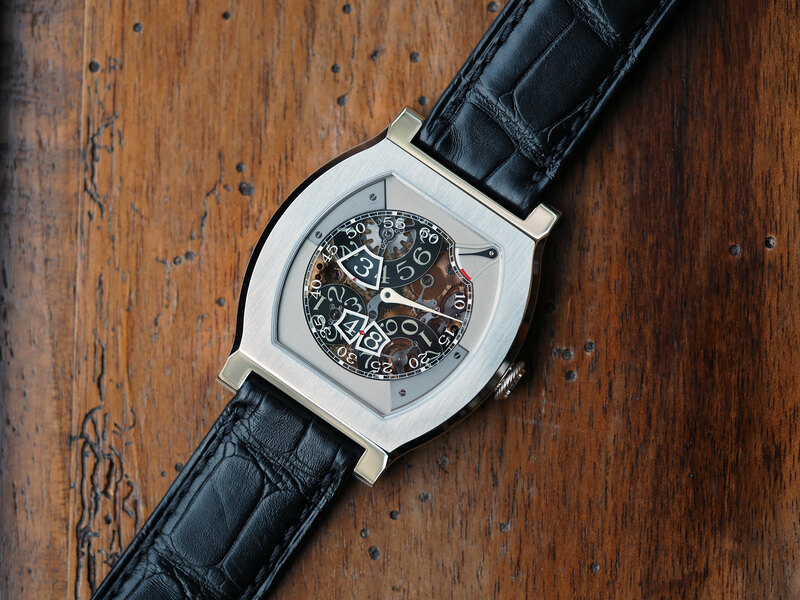 The Vagabondage series was first launched in 2004 with the release of three pieces donated by François-Paul Journe to the Antiquorum auction house in celebration of their 30th anniversary. The three pieces each represented one decade of the house, with each piece engraved with “10 years”, “20 years”, and 30″ years” respectively, as I was told. 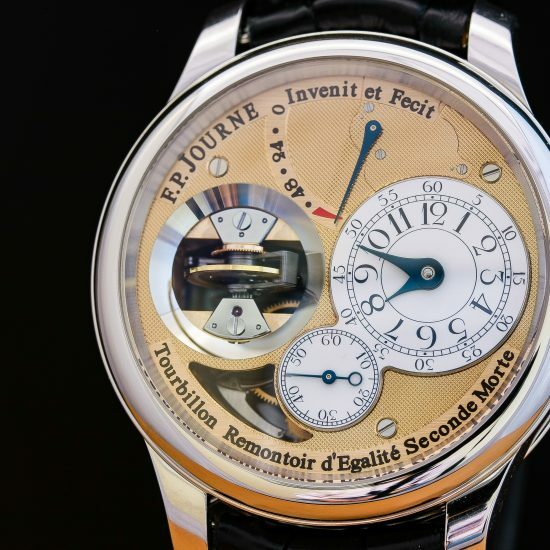 Two of the three pieces became the only pieces the manufacture would ever be known to produce in white and yellow gold, two metals Journe has continuously rejected to use; the last of the three being in rose gold. 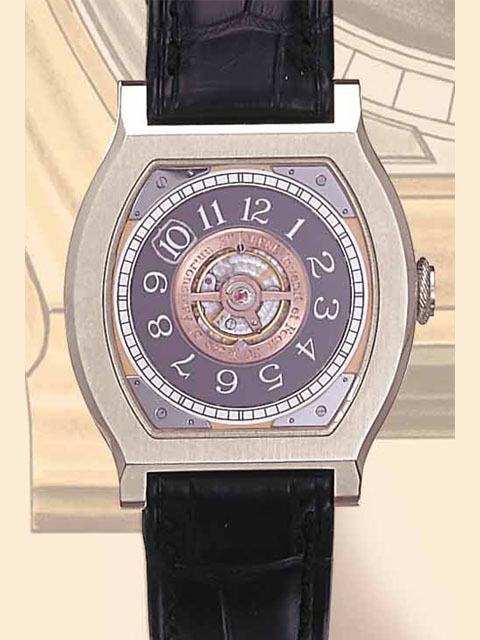 The cases of the watches were also unique in that they were significantly smaller than the series to succeed them, measuring 42×34 mm; housing brass movements. The pieces were auctioned for CHF 63,250 (white gold); CHF 66,700 (yellow gold); CHF 80,500 (rose gold), all eventually purchased by the same collector with proceeds going entirely to charity. In 2006, F.P. Journe released (quietly) the first publicly available set of the series with 69 pieces exclusively in platinum, with rose gold movements. The cases measured 43x36mm, slightly larger. 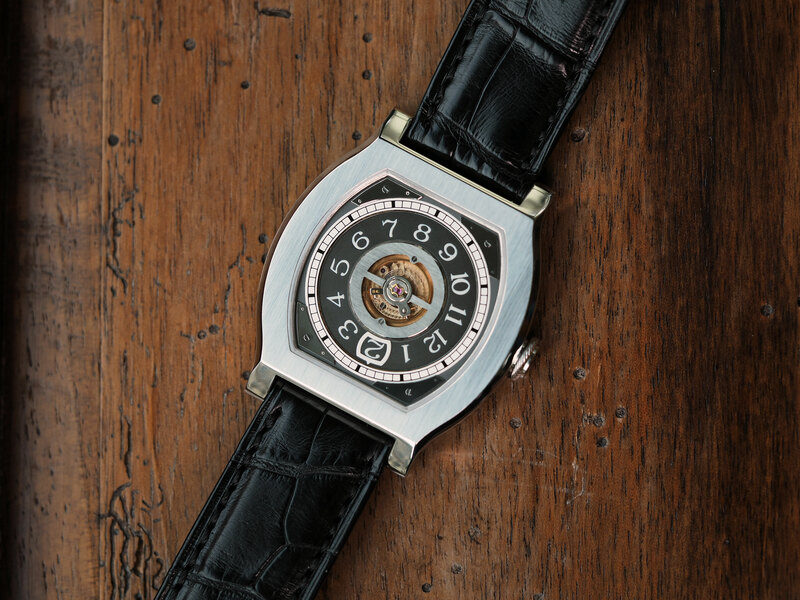 Essentially the same as the first three, the difference was that the dial showed no indication of its maker, with the brand name appearing solely on the movement. Such a characteristic carried over to what would make a whole trilogy with the Vagabondage II (2010) and Vagabondage III (2017). 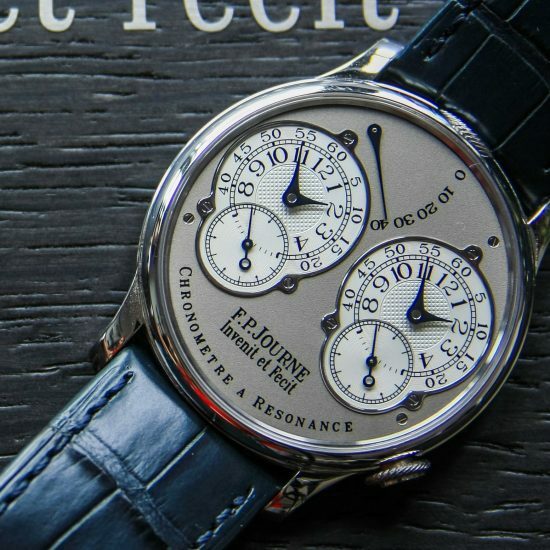 It was once widely believed that the reasoning behind the maker’s name not being indicated on the dial was that Journe didn’t believe such watches were precise enough to carry his name. For a start, they did step away from his usual designs, displays, and case shapes. It is further understandable that they housed quite complex and unusual movements that required a lot more energy to function; the VII as an example barely ran over 24hrs. Yet, I’ve posed the question regarding this decision to Mr. Journe twice so far and have received the same response both times. 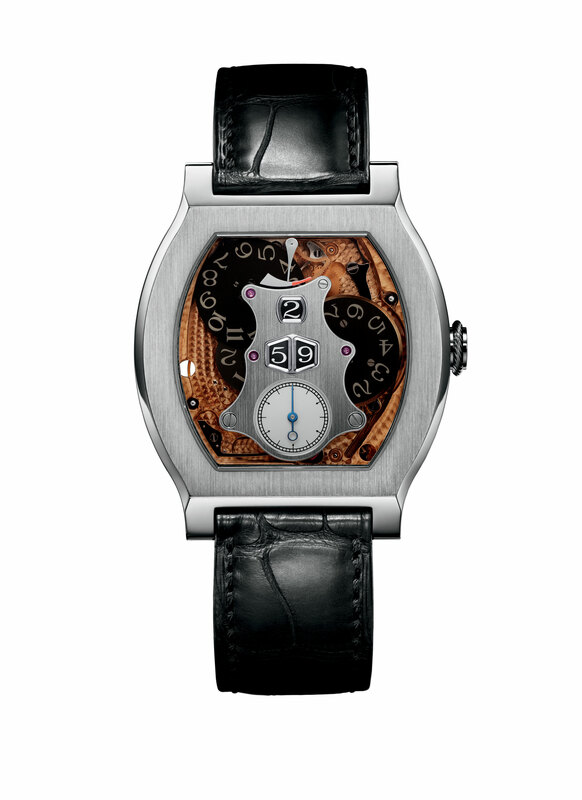 Why doesn’t the name of Journe appear on the dial of the series? To my surprise, he completely denied the watches were not precise enough and simply stated that he couldn’t find an appropriate place for it on the dial, noting it looked prettier without any writing. 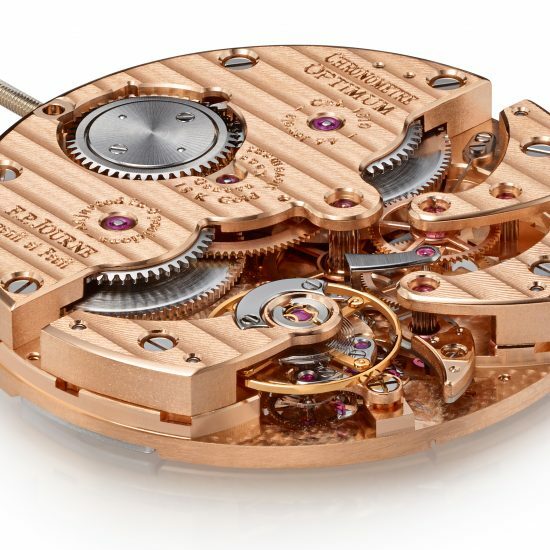 To further support his claim, he explained that his name is engraved onto the movement itself. 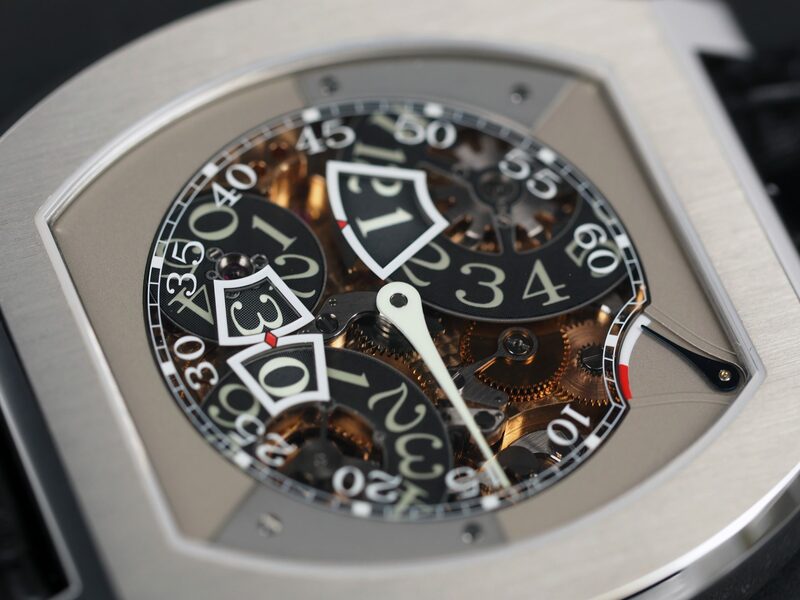 Obviously, if it wasn’t so precise he wouldn’t engrave his name on the movement either. Such was the reasoning that remained for the whole trilogy, a set of watches that looked better without any writing on the dial.